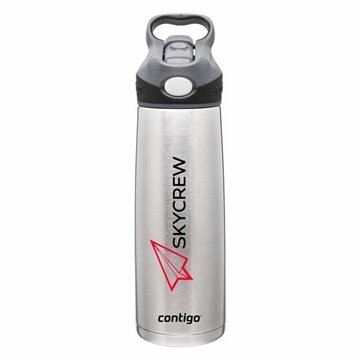 Contigo logos must be printed in set locations on each item. the colors were vivid and clear. Great product, quick shipping, all around a great experience! Excellent product and also the people we gave these to were pleased with them. The product was perfect as well as good quality for the event. Alicia did a great job. The items were exactly as described and the price was right! Thanks, AnyPromo! Well done! Quality construction, helpful and nice design. Alicia gave me a bit of special attention since we needed a specific color item. She found it and everything arrived looking great.